** Includes private garage** Available now. Authentic Industrial Brush Park loft at the The Carola with outdoor patio and rare private garage. Located in the heart of Brush Park. Walk to stadiums, arenas, restaurants, and shops on Woodward Ave. Minutes from the Q-Line. Unit features open floor plan, abundant natural light, radiant heated slate floors, exposed brick. Ceiling structure is exposed for more vintage appeal. Kitchen boasts granite countertops, plus a long island with storage cabinets beneath. Full laundry room and washer and dryer. Separate jetted tub and shower in the bath. 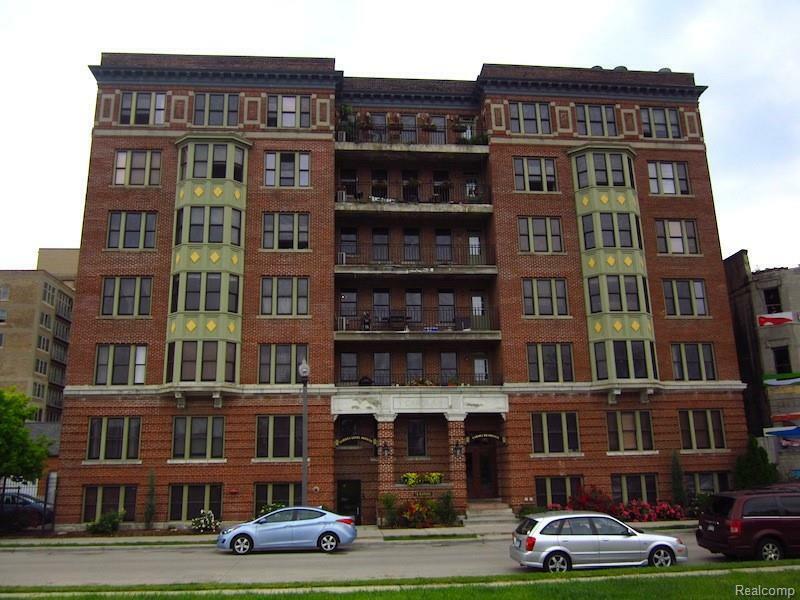 The condo is art that you live in, perfectly located in a timeless historic Brush Park building.